Liquid-Chromatography-Mass-Spectrometry procedures have been shown to be successful when applied to drug development and analysis. LC-MS in Drug Analysis: Methods and Protocols provides detailed LC-MS/MS procedures for the analysis of several compounds of clinical significance. 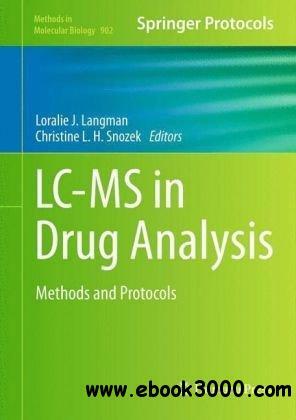 The first chapters provide the reader with an overview of mass spectroscopy, its place in clinical practice, its application of MS to TDM and toxicology, and the merits of LC-MS(/MS) and new sample preparation techniques.